Our range of products include dog bowls, belly w color etched lines pet bowl, pet bowl color with etched line, rabbit bowls, steel pet bowls and stainless steel pail bucket. 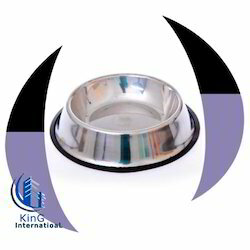 Owing to our expertise in this Dog Bowls, we have become one of the leading manufacturers, exporters and suppliers of high quality Dog Bowls. These diners are made from high quality stainless steel with high precision. 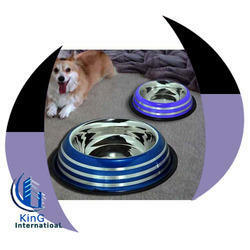 Being the leading names in industry we are into offering a quality approved range of Belly W Color Etched Lines Pet Bowl. Out highly experienced professionals designs these using superior quality material and advanced technology. Our clients can avail these in various colors as well as designs as per their choice. In addition to this, we also assure to deliver our products in a stipulated time frame. 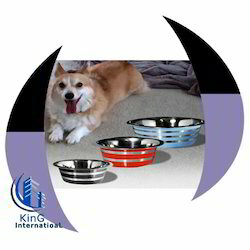 Keeping in mind the diverse requirements of our clients we are involved in offering an extensive range of Pet Bowl Color with Etched Line. These are available in various designs, colors and sizes as per the requirements of our clients. Offered products are highly acknowledged among our clients for their high durability and excellent finishing. Additionally, we also assure timely delivery of our products. 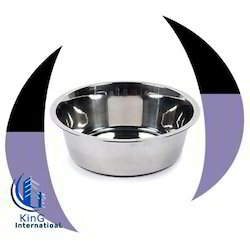 We are manufacturers, exporters and suppliers of Regular Pet Bowls that is suitably designed with thick mild steel material. This bowl has is precisely manufactured using advanced machinery. 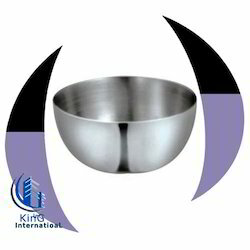 Known for sturdy construction, immaculate finesse, heat resistance and robust design, this premium quality bowl is available in different specifications as per the clients’ requirements. 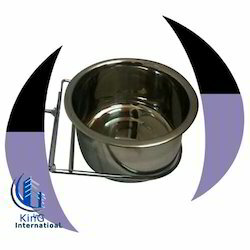 Further, we offer this bowl to our valuable clients at industry leading prices. 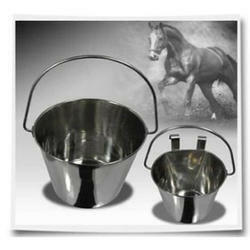 We are providing Stainless Steel Mouse Bowls in bulk quantities.